NTOMBIKAYISE Ntshiza from Mawele Village near Ixopo, in southern KZN desperately needs help to get her disability grant. The 58-year-old said she fell from a moving tractor on a nearby farm 20 years ago. The incident left her foot injured. She said even though doctors put steel in her foot and gave her an artificial shoe, her disability grant application was never approved. Ntombikayise told Daily Sun that she has tried everything to get help, but nothing has helped. “I really need someone to help me resolve this matter. Life has been difficult for me. “I don’t understand why Sassa doctors can see that I am unable to work because of my injury. “Every time they told me I don’t qualify in terms of their assessment because I don’t meet the requirements,” said Ntombikayise. She said officials at Sassa offices in Ixopo told her she failed the means test. “The officials said my file was sent to head office in Pietermaritzburg for further assessment, but nothing has happened so far,” said Ntombikayise. 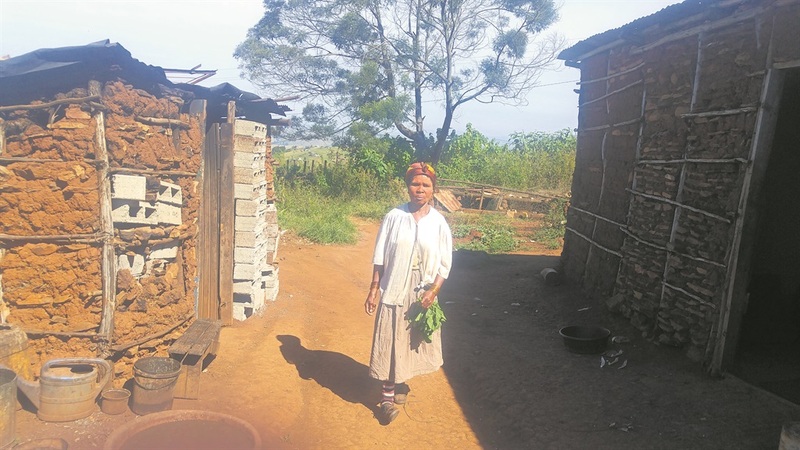 She lives with her 61-year-old boyfriend, Mqgeke Gebashe, who started getting his old age grant last year. She said before meeting Mqgeke, life was difficult because she had to rely on her neighbours for food. Mqgeke said he was happy that Daily Sun got to know about the problem because his grant was not enough to look after both of them. Ubuhlebezwe municipal speaker Zwakele Mngonyama said he would visit Ntombikayise to see how they could assist. Vusi Mahaye, a spokesman for Sassa in KZN, said he would talk to the local officials to find out why Ntombikayise’s application was never approved.